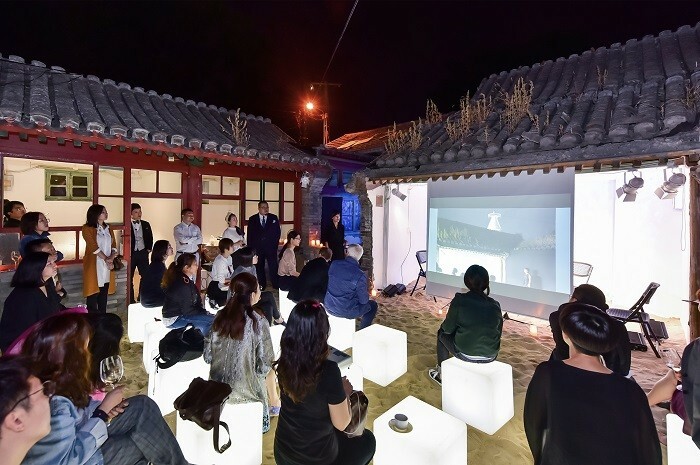 Aranya is a new coastal development located near Beidaihe, the traditional seaside destination for Beijing political elites. 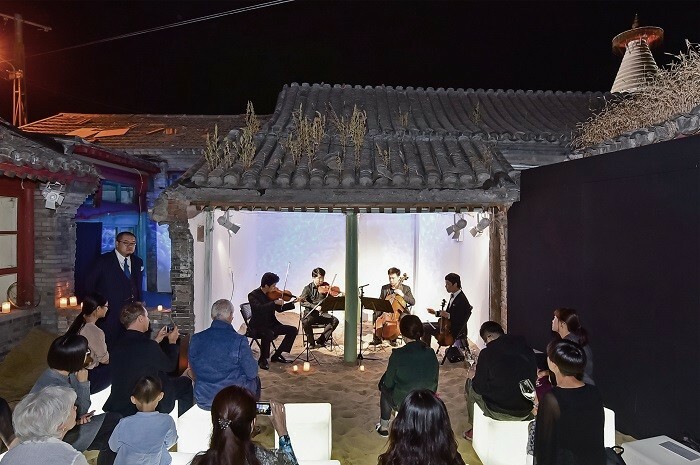 Taking advantage of one of the nicest coastal areas in Northern China, Aranya has combined the beauty of its landscape with a rich cultural agenda, offering its guests a sort of spiritual retreat rather than only a luxurious resort experience. 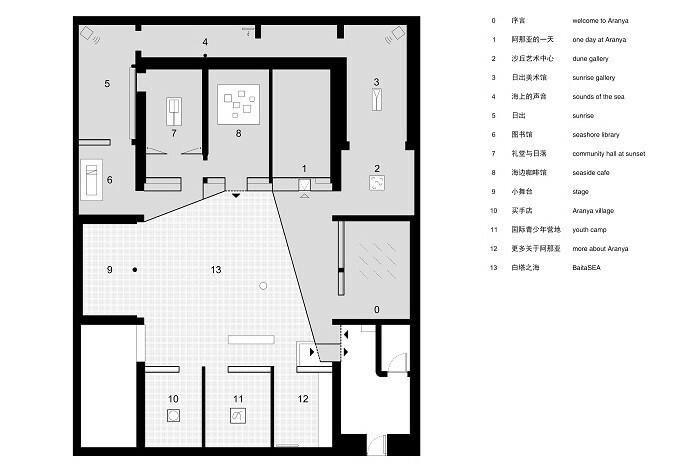 In this context, architecture has played an important role and all the most prominent Chinese contemporary offices have contributed to the design of a series of singular buildings that provide the main public services to the new community. 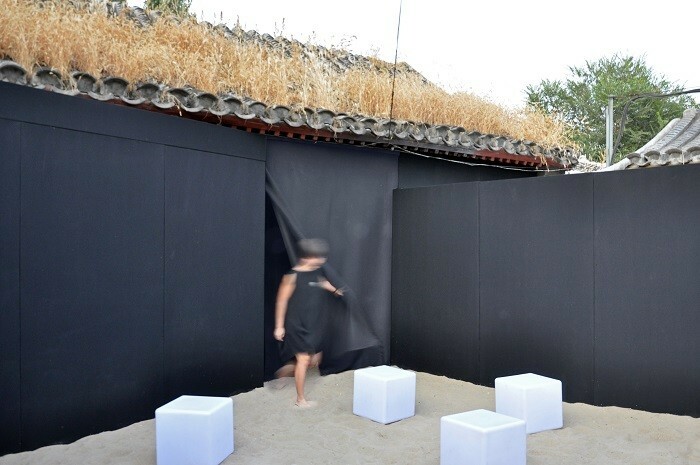 With the occasion of the 2017 Beijing Design Week, Aranya invited reMIX studio to design a spatial installation that could not only celebrate its unique architecture but also give a taste of its inspiring natural context. 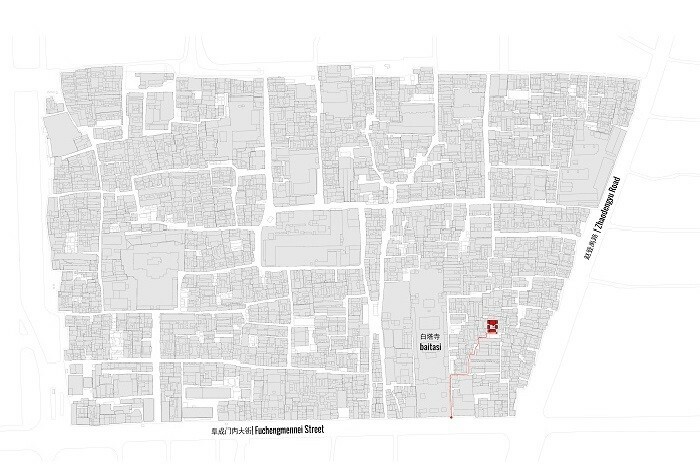 The site chosen for the exhibition is a historical courtyard house hidden at the end of a winding path of hutongs. 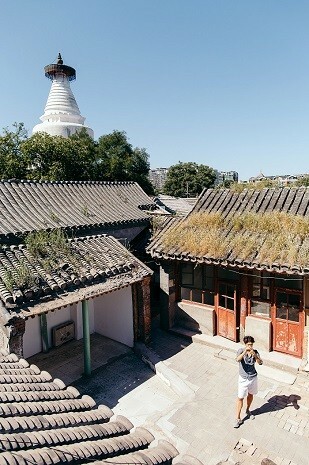 A central yard of intimate size is encompassed by four buildings of different ages, framing the view of the white pagoda of Baita Temple in the close distance. Starting from the limited area of the site, our intervention aims at creating a sense of spatial depth and our new spiraling circulation offers to the visitors an unusual path of explorations. With the insertion of two small structures, we transform the existing symmetry of the courtyard into a more dynamic configuration where the abstractness of the new black volumes dialogues with the complexity of layers of the historical buildings. 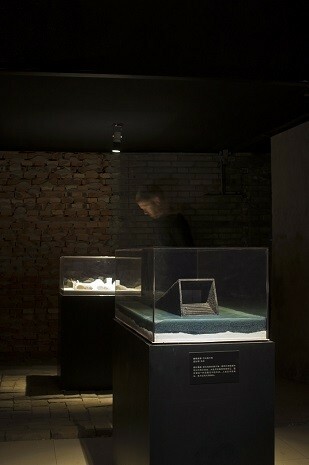 At the entrance of the courtyard, the visitors are immediately directed to a dark tunnel. 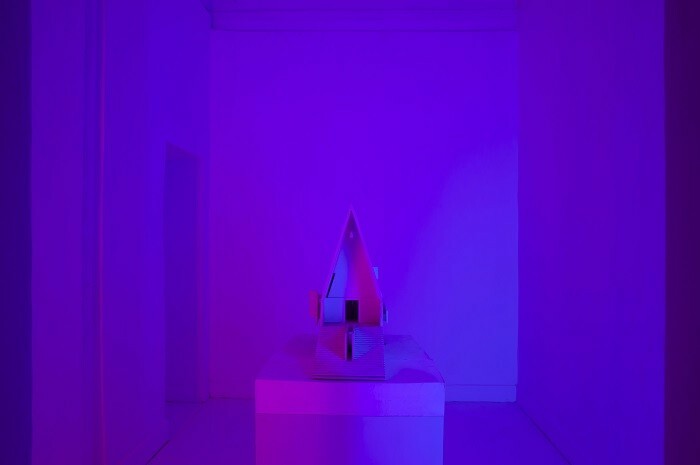 The initial shock for the dramatic change in the lighting conditions helps them disconnect from the “mess” of the hutongs and brings them to the beginning of an orchestrated sequence of sensorial stimuli. 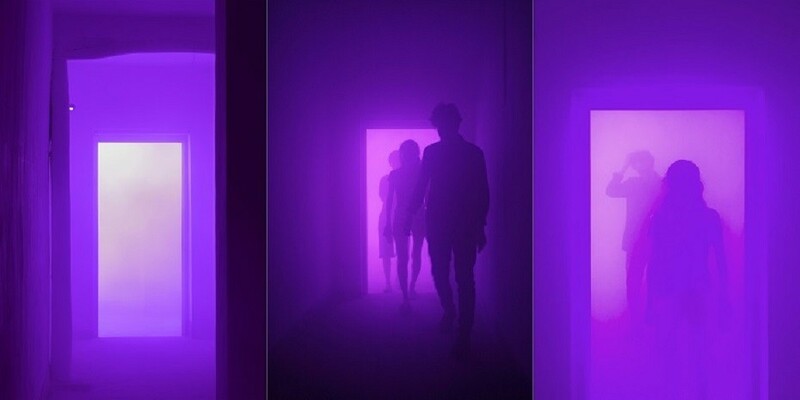 The humid coastal mist at dawn, the changing gradient of the sky from sunrise till dusk, a symphony of violins and waves have been abstracted into a series of immersive installations that surround the exhibited architectural models. 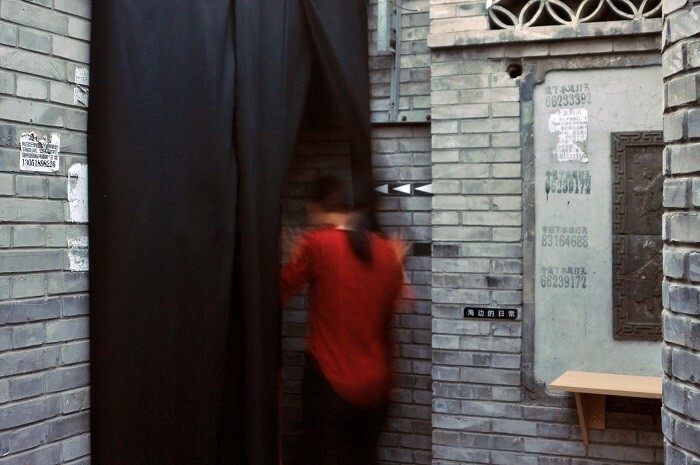 After a series of eight rooms with different atmospheres, visitors finally face a thick black curtain that gives them access to the central yard. 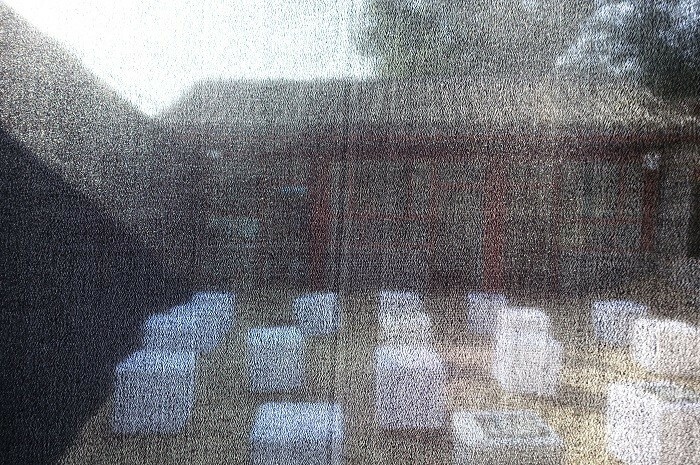 By lifting the curtain, they enter a totally unexpected new environment, with a sandy beach transplanted into the heart of the historical block. 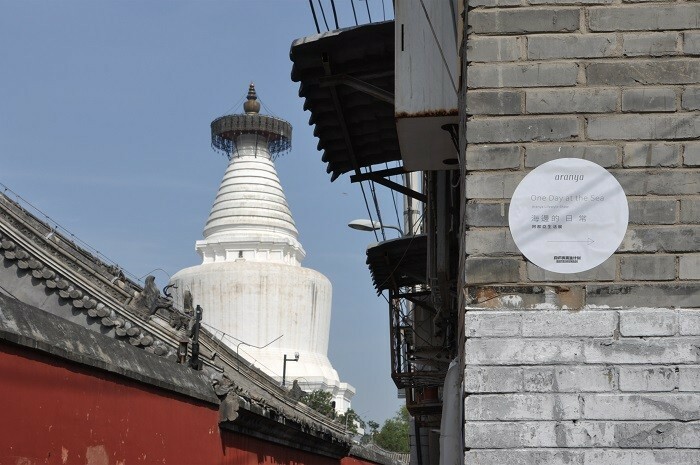 Its ephemeral and terrestrial qualities contrast with the eternal and sacred presence of the white pagoda in the background, while the spontaneous daily life of the hutong is still apparent everywhere around the site. 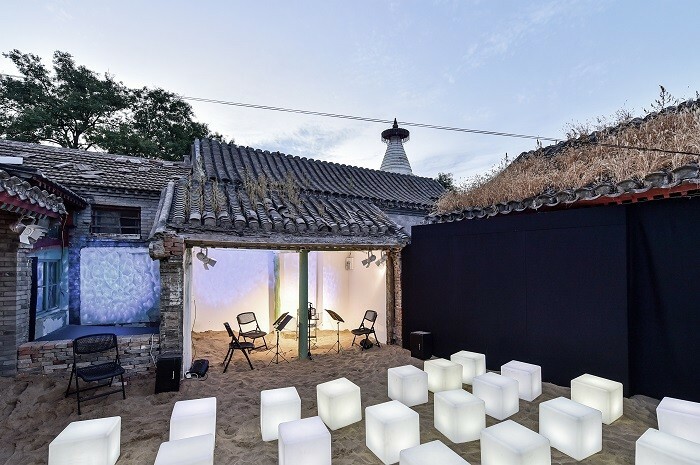 Standing on the sand transported for 300 km from the Aranya beach, visitors can still smell the scent of the potted flowers, hear the sound of the birds and watch the acrobatic movements of the cats over the roof tiles. 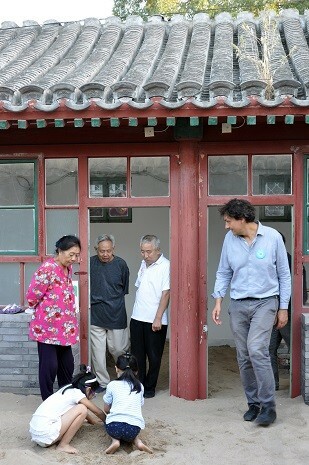 BaitaSea is the juxtaposition and the co-existence of the ever-present hutong life with the transient mirage-like landscape of the Aranya seaside.